Futurelooks Asks - Where Are the Women in the Video Games Industry? 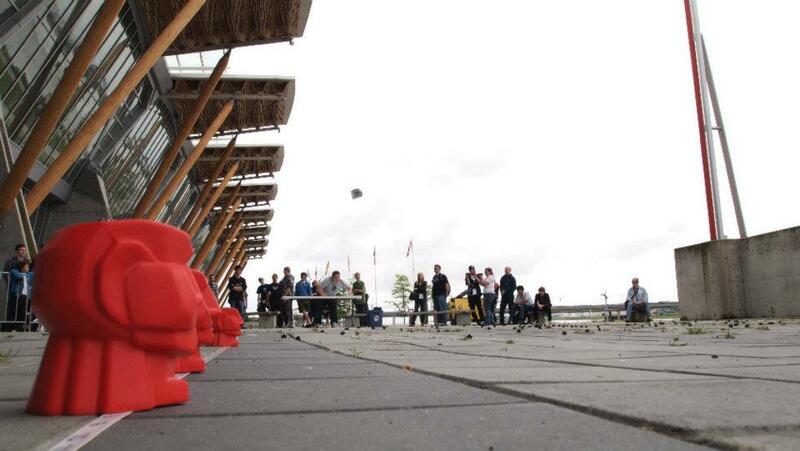 At last year's LANcouver 2011, the Kingston HyperX Keyboard Hucking (Chucking) Challenge drew a big crowd that lined up for a chance to win a Kingston SSD. This year, we shortened the name, trimmed some keyboard cables, and made it even more difficult by introducing a little water hazard that messed a lot of "tossers" up in this year's competition. Check out the video for all the keyboard carnage and excitement. You can also watch it on YouTube. Last year's keyboard challenge was utter chaos as we had runners grabbing tickets and trying to place them with the throws and keyboards flying further than we ever thought possible. This year, we used soft and squishy Kingston Rex stress toys to mark off the top three spots and we measured out the playing field, or rather, concrete, so that we could better judge tossed distances. As a result, we had a much smoother challenge and by having the top three always standing by their "Rex Head" we could eliminate "tossers" as their throws are defeated. A few things made this year's challenge even more challenging. For starters, there was a water drainage path that cut right across the playing field. If you missed it, you were pretty much guaranteed a top 10. However, a lot of people ended up staring at it and toss their keyboards right into it. The surface, with its fitted stone slabs, made the crazy distances that were tossed at last year's event much more difficult to achieve. At the end of the day, everyone had a great time and the winner, Kevin Doan of CyberGaming, was presented with the top prize of a 120GB Kingston HyperX 3K SSD. 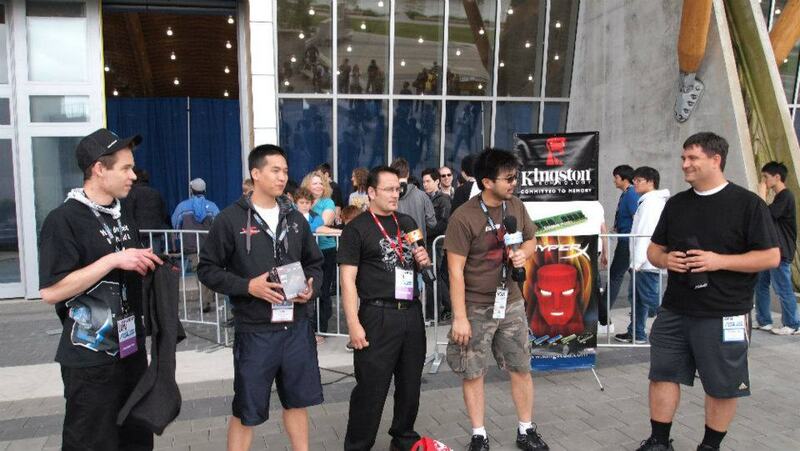 The second place winner, Ivan the "Crazy Russian" from NCIX, took home the Kingston HyperX 64GB USB 3.0 drive. Both of them were scared of Craig, the third place guy because he's the size of both of them combined and Mike and I had to keep the peace. We didn't even have a T-shirt large enough for him, but he did get hooked up with some other Kingston goodies at the end. We'd like to thank the participants and Kingston Technology for putting up the prizes and for having Mike Smith, the local rep out to provide some colorful commentary for the event. Photos were provided courtesy of Michael Kwan from MEGATechNews.com. Yes, the same Michael you sometimes see here doing notebook reviews for us. We're not done with our look back at LANcouver 2012 so stay tuned for a couple more fun things that we have to show you!